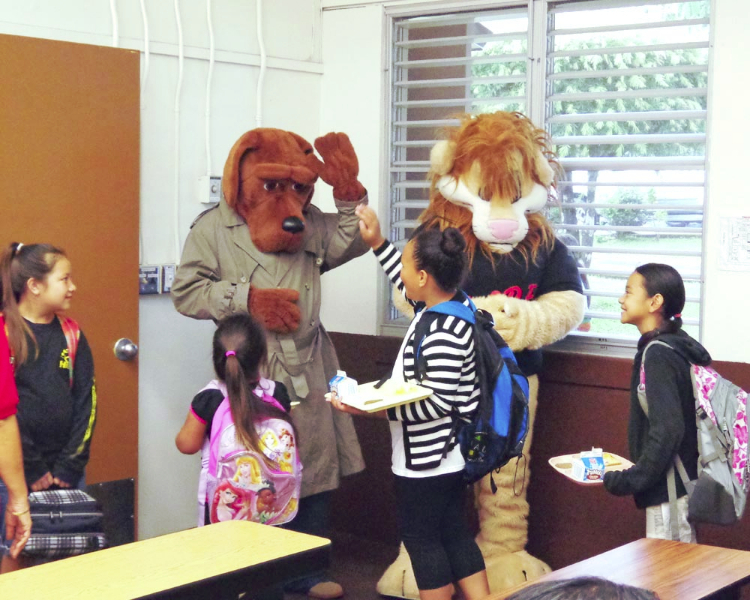 McGruff the Crime Dog and Daren the Lion greet children during a "Character Breakfast" at Hilo Union Elementary School. 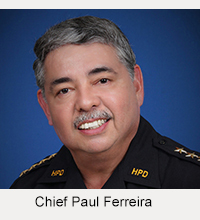 Young children squealed with delight as costume characters mingled among them during a breakfast presentation Wednesday by Community Policing officers at Hilo Union Elementary School. The “Character Breakfast” was the second in a series planned to both entertain and educate keiki. McGruff the Crime Dog and D.A.R.E. mascot Daren the Lion are the closest some of these kids will get to Disney-style characters, and their presence Wednesday morning attracted more than the typical numbers of students who eat breakfast at the school before the start of classes. During the presentation, HI-PAL Officer Joseph Botelho Jr. offered tips about Halloween safety. Other Community Policing officers passed out traffic safety stickers. 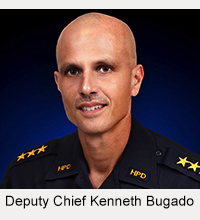 Elementary schools interested in having a “Character Breakfast” on their campus are encouraged to call School Resource Officer Nelson Acob at 961-8121.